In the most brand synergistic accomplishment of all time, convenience chain 7-Eleven has completed 77 drone deliveries during month one of its commercial service in Reno, Nevada. Yes, that’s Triple 7s in America’s Other Big Gambling Town. The drone service is operated by Flirtey, a commercial drone service provider startup that started working with 7-Eleven on a commercial launch back in July. November was the first month that the Flirtey + 7-Eleven combo provided regular commercial service, sending out packages on the weekend to a group of 12 special customers who got to use the drone-on-demand offering via a custom app created for the purpose. The app allowed users to pick from their inventory, and then offered notifications along the delivery’s journey, starting when it was loaded and ending at when it landed on their doorstep. 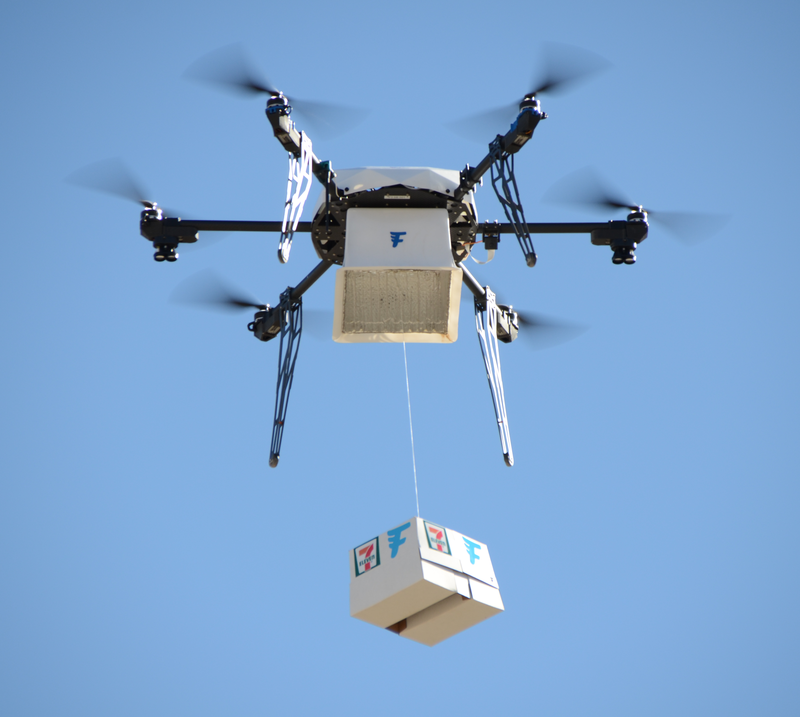 Items available included both hot and cold food, and over-the-counter medicines, according to a press release, which were transported in a Flirtey-made drone-mounted cargo container. The drones lowered these to the ground while hovering when they arrived at a customer destination, and most of the deliveries took less than 10 minutes from when they were ordered to putting the products in customer hands. Truth be told, I could go for a taquito or some daytime cold medicine right now, and it’s freezing out so I definitely see how this service is winning some fans among early customers. Flirtey and the convenience chain say they’re expanding service areas in 2017, so maybe I’ll get my wish by this time next year.